It’s been said that “not everything that can be counted counts and not everything that counts can be counted.” Our last blog post “Progress” discussed some of our measured results on the 2013-2014 district report card. But how do you measure events that capture the imagination and the passion of a community? Events where teachers from all across Worthington come together with parents and other community volunteers to provide a unique, cool, opportunity for kids and adults. 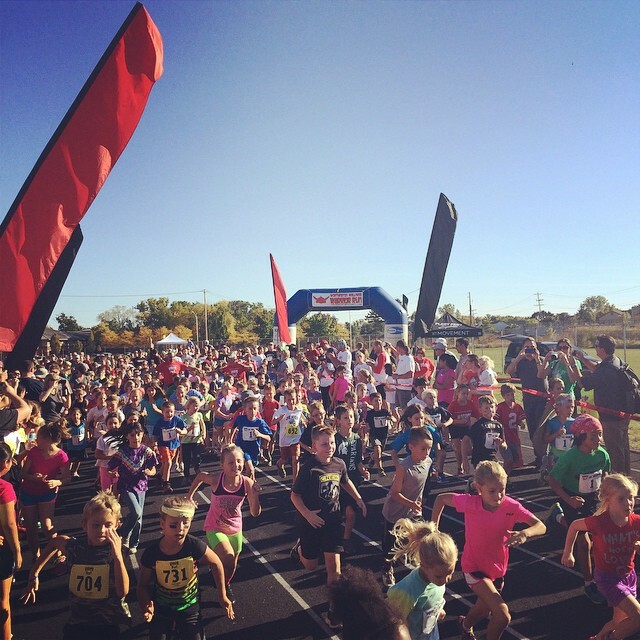 How do you measure the Worthington Wellness Warrior Run? And, have a blast they did. Teachers from elementary schools from across Worthington worked to create the course and the multiple obstacles. A school principal grilled hot dogs, (so he could get out of crawling through mud), a retired Worthington teacher helped with registration and Fleet Feet Sports ran the event. Students from every elementary in Worthington participated in the run. Some ran with friends while others ran with a parent. Everyone who participated pushed themselves across the fields, through tunnels, over wood walls and everyone crawled through mud. No one left clean and no one wanted to. In today’s public education we focus on many things. 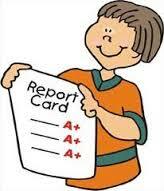 But no state report card, value-added data, or student learning objective (SLO) can measure the impact of this event. This event connects with kids and parents in a different way. It helps everyone discover their own inner strength and creates a level of confidence in our kids that will transfer to many other areas. In Worthington this event is just another way we strive to engage the whole child and our community. We want our students to be well-rounded by providing opportunities for wellness and for the entire Worthington community to come together aiding this mission. If you’d like to see pictures from this awesome, amazing, super cool event, you can check them out, here, here, here and (caution: this last image may be disturbing.. click here at your own risk). At Monday, September 22nd’s regularly scheduled Board of Education work session Director of Academic Achievement and Growth Jennifer Wene and Superintendent Thomas Tucker discussed with the Board of Education Worthington’s 2013-2014 district report card issued by the Ohio Department of Education. The report card is a comprehensive document that mostly measures the achievement and growth of Worthington students based upon standardized testing. While we value every measure on the report card and will strive to get better in every area the measure that most closely aligns with our goal of “Annual growth for ALL students and catch-up growth for those behind” is the Progress measure. In Ohio public school districts are ranked by The Ohio Department of Education. Worthington’s Progress measure which received all “A’s” on the report card puts Worthington in the top 3 percent in the state for progress. This says that, In Worthington, our teachers are helping our students grow better than 97 percent of other Ohio schools. We believe that these student-centered practices along with school cultures and climates that support student learning, and most importantly teachers who build positive and significant relationships with their students, allow Worthington students to exceed their expected levels of growth. Our goal is annual growth for ALL students and catch-up growth for those behind. That quest is never finished! There are many incredible advantages that we enjoy by living and working in Worthington Schools. Recently I had an experience that reminded me of that. On Monday, September 22nd I attended the Battelle for Kids Leading and Learning Collaborative Workshop that was designed to help Ohio public school leaders connect and share best practices for helping students grow and achieve. The first session that I attended was titled: “Promising Practices for Attracting Diverse Educator Talent” and it was led by Battelle for Kids leaders Tracy Najera and Emily Douglas. 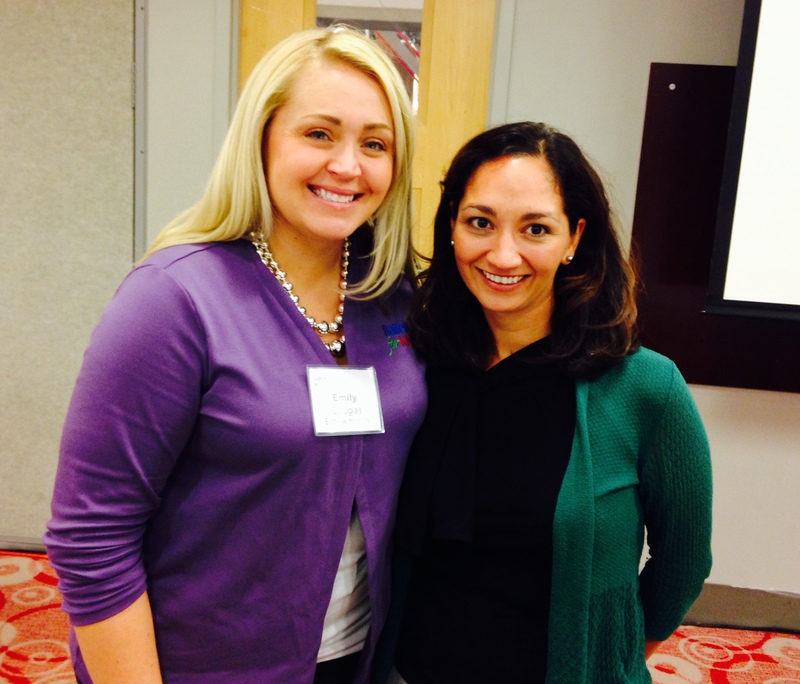 Tracy Najera supports Battelle for Kids collaboration with the Ohio Department of Education and 23 school districts from across Ohio that are part of the state’s $52.7 million Teacher Incentive Fund grant awarded by the U.S. Department of Education in 2010. Tracy has over a decade of experience in education policy research and analysis. She began her career in education with the Columbus Public Schools and Children’s Defense Fund. Subsequently, Tracy worked with KidsOhio.org as an education policy analyst, focusing on school facilities, achievement gap issues, and urban education. Most recently, Tracy served as Section Chief for the education group in the Ohio Office of Budget and Management where she conducted policy research and development and provided high-level advice and analysis on statewide education reform initiatives. Most importantly, Tracy is a Worthington resident and the mom of two Worthington students! Emily Douglas is a Battelle for Kids’ Human Capital Director who explores issues, trends, and promising practices for human capital in education. Her writing is featured in Education Week’s K-12 Talent Manager Blog. She covers strategies for recruiting, selecting, developing, and recognizing educators and non-instructional staff in schools. Emily is a graduate of Worthington Kilbourne High School! She attended Liberty Elementary and McCord Middle School as she progressed her way through Worthington Schools! In Monday’s conference I learned the research around attracting diverse educator talent and I learned eight proven strategies to increase diversity (this is a major focus of ours as a school district.) Incredibly I learned these things from two talented professionals invested in Worthington Schools. In Worthington we have many advantages. One of those advantages is the number of talented professionals like Tracy and Emily who desire to help our school district improve and to make certain all Worthington students succeed. A couple of more words on “Yik Yak.” A normal blog on this site is read by three to four hundred people. At this point our “We don’t need Yik Yak in Worthington” post has been read by almost four thousand people. It’s good to see that parents have passed the word on to others and moving forward it will be important to educate one another on what is out there that affects our children. 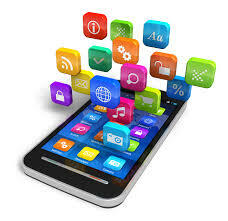 The world of technology applications is constantly changing. While it was Yik Yak last week it will be something new next month (look out for anonymity apps Whisper and PostSecret as well). Our vigilance is needed. Most often even things that are negative have positives. In this case the positive is just another example of how our current group of students amazes me. While I believe kids today have unique challenges that my generation didn’t face, I also believe that they often handle those challenges in more positive ways than my generation would have. While some of what was posted on Yik Yak was vile and gross, our students today are much more compassionate, accepting of one another, and free from the cliques and social groups that dominated my generation. While today we have an occasional fight in our schools, back in the late 80’s when I grew-up in Worthington, a normal Friday night was to gather at the Continent and fight anyone who had on a letter jacket of another color. Today’s kids are much more likely to hang-out with kids from multiple schools. I’d rather students don’t have to deal with apps like Yik Yak. However, when they do it can be a learning experience. And when that learning includes students policing one another and the student body as a whole making a decision to rise above the negative, even Yik Yak can be turned into a positive situation. We have great kids in Worthington! I’m proud that our student leaders had the courage to take a stand. That learning will serve them well in the future. Go Cards! Go Wolves! Go Newts! 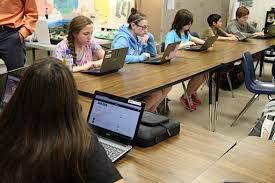 Technology in our schools can be an awesome tool to personalize the learning experience and engage students. Unfortunately some technology has a darkside. Wednesday night a friend sent me a text asking me if I had ever heard of the app called “Yick Yack.” I replied with a simple “no.” I’d never heard of the app. That changed quickly yesterday as I learned that a few students at Thomas Worthington High School were using Yik Yak in inappropriate ways. Yesterday the anonymous users of the app spread the news of a potential threat and attempted to organize a fight. In response to the disruption caused by the app, the Worthington police were enlisted to provide extra safety support, parents were notified of the negative effects of this app, and student leaders read a statement to the student body asking their peers to stop using this app. So it is no wonder that Yik Yak has become the ultimate tool for bullies, especially at the high school level, who want to target another student or a faculty member and — without any consequences, whatsoever — anonymously destroy that person’s reputation. A week ago, a private high school in Massachusetts experienced a 24-hour onslaught of ugly rumors and comments about students and administrators. School officials had to plead with the students to stop using their smartphones to ravage the self-esteem of others. The person or persons who were responsible for all the “yakking” were never discovered. No one could be punished. All that was left to do, after the anonymous and vile comments were disseminated, was to try to heal. In Worthington our disruption was not to the level of what is written about in this article. However, the app has no redeeming qualities for high school students and poses both a social and emotional risk. After working with Yik Yak they have agreed to put a digital fence around our secondary schools. Students will no longer have the ability to access Yik Yak from the school location via our wi-fi or cellular network. I appreciate that the company worked with the school district to protect our students while in school. However, students who have downloaded the app will still have access to it outside of school. My hope is that those who read this blog post will spread the word to parents across Worthington. 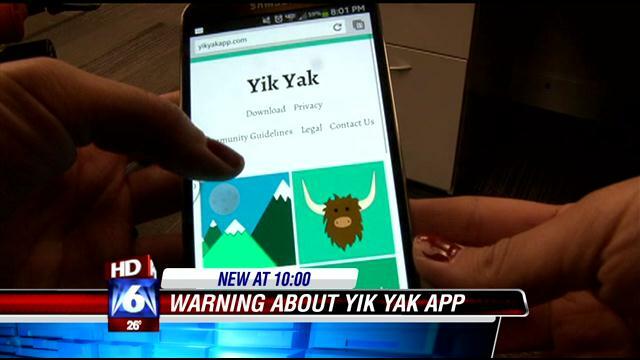 Please talk with your children and determine whether they have the Yik Yak app on their phone. It is a personal decision whether or not you believe this app is appropriate for your child. Hopefully after weighing the positives and negatives of the app a joint decision can be made that there are better apps available and this one can be deleted from Worthington. 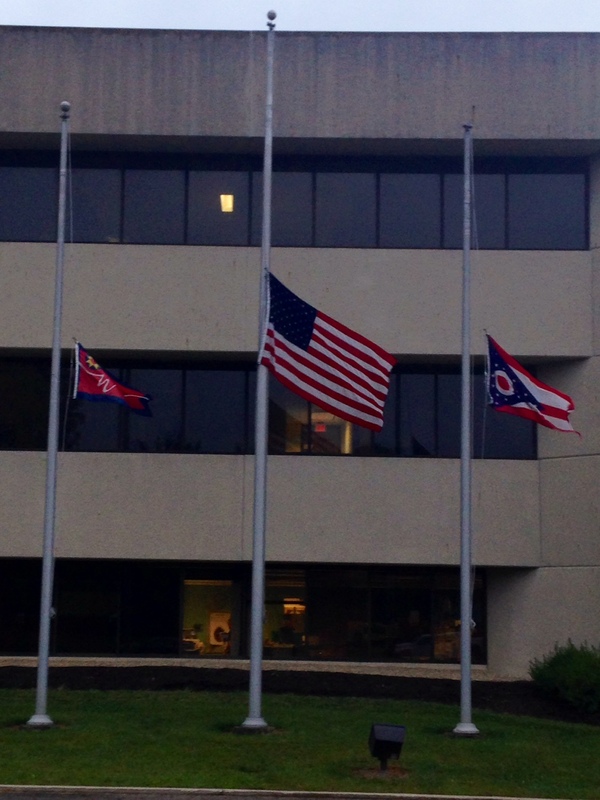 In addition across the school district our flags will fly at half-mast by Presidential order. My daughters were all born after 2001. They know the story of the twin towers and they’ve been to New York to see the World Trade Center site. But, they don’t have the personal experience that those of us with more age possess. On September 11th 2001 at 8:46 A.M. I was the assistant principal at Creekview Intermediate School in Marysville, Ohio. I was sitting in principal Tim Kannally’s office with Carla Baker planning for sixth grade camp when someone said that a plane had crashed into the World Trade Center. That was terrible news, but immediately it didn’t register as anything more than an accident. 2001 was only 13 years ago, but the world was different. We had the internet, but it was much slower and certainly no where near as all-encompassing as it is now. I had a digital cell phone that only made phone calls. Thus, communication that morning was much different than it would be today. For a while our morning went on as planned. When the second plane hit the South Tower it was apparent that this was no accident. As school leaders our focus immediately changed to making certain our students were safe. It may seem silly now in retrospect, but we immediately began walking the school making sure all doors and windows were locked and secured and we began communicating with teachers in person. Many parents arrived at school and signed their children out to spend the day at home with their family. September 11, 2001 is a day many of us will never forget. It’s a day we should never forget as a nation, and today we’ll pause and make certain our students have some understanding of the significance of this day. When my kids pick-up a new device they somehow just know how to use it. In our home we have a PC laptop, a Macbook, a few IPads and sometimes I bring home a chromebook that I use at work. Before I know it I’ll have three kids on the couch all on a different device doing who knows what. They’ve never been trained in any of the devices but they have no fear and somehow they always find ways to change my preferences and set-up which takes me no less than five hours to figure out how to change back. While kids are digital natives many of us as adults need training. Thus as we created our three year technology plan professional development and training was a major component. We recognize that as learning becomes increasingly more integrated with technology this creates an anxiousness for families and even for some educators. Certainly, all parents desire to be able to help their children with their school work and they want to be active participants in their child’s learning. We want that as well and will be working to create training for faculty, students and parents. This summer over 80 Worthington faculty members and all Worthington administrators attended training on utilizing ILearnOhio as a learning management system. Curriculum leaders at each Worthington school will spend this year working with their colleagues to learn the system and begin to utilize it more fully in 2015. Moving forward we will be creating instructional technology nights where families will be able to learn about the digital resources that are used in our classrooms and how they can access those resources at home. Our goal throughout our technology plan is to create a system that is integrated to increase student learning and engagement through greater personalization. In order for that to occur we’ll need to be more intentional in our training. Our kids pick things up quickly. It’s we, as adults, that need the help!